Blunt's Envy new 120mm wheels are a new type of wheel for stunt scootering. 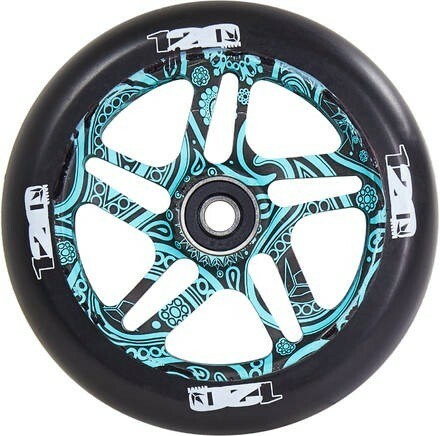 Demand from riders have generally been for bigger wheels over the last couple of years, and when Blunt started looking at creating a large wheel, it made sense to them to follow the evolution of the scooter wheel, 100mm, 110mm and to 120mm. IMPORTANT: 120mm wheels may not fit all scooters on the market, however Blunt is changing over all products to do so, starting with the 2015 Colt, Prodigy and KOS completes.